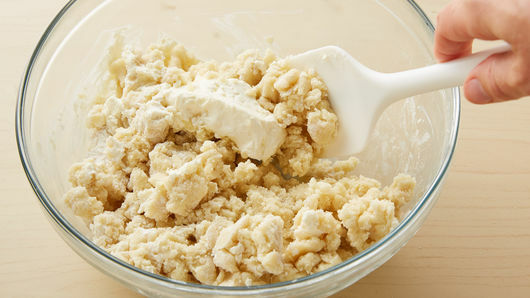 In large bowl, break up cookie dough; stir or knead in 3 oz of the cream cheese and the flour until well mixed. Shape into 36 (1 1/4-inch) balls. Place 2 inches apart on cookie sheets. Bake 9 to 12 minutes or until edges are light golden brown. Cool 1 minute; remove from cookie sheets to cooling racks. Cool completely, about 30 minutes. In medium bowl, stir remaining 4 oz cream cheese, 2 tablespoons of the dulce de leche and the powdered sugar until smooth and creamy. Frost cookies. 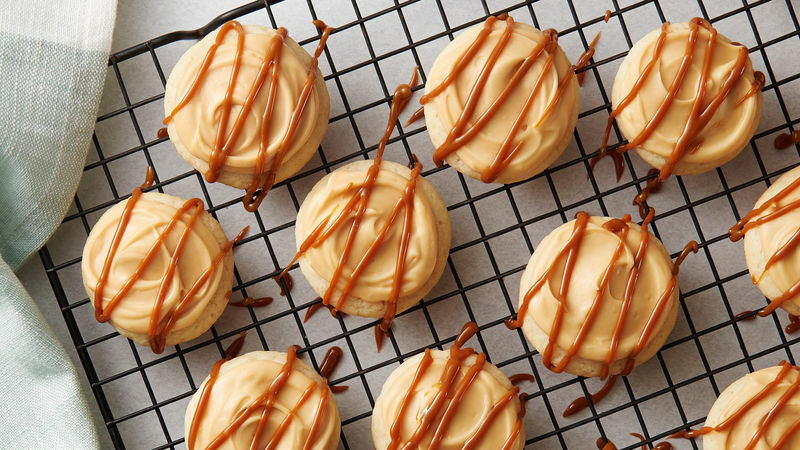 In small microwavable bowl, microwave remaining 1/3 cup dulce de leche uncovered on High 30 to 40 seconds or until thin enough to drizzle (reheat 10 seconds if necessary). Drizzle over iced cookies. Store covered in refrigerator. 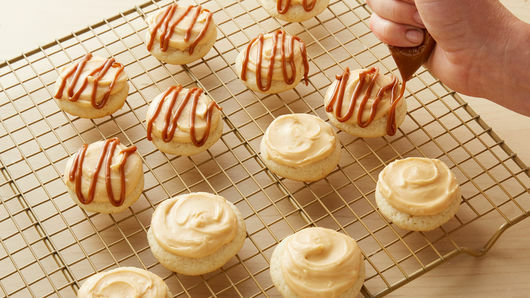 Look for dulce de leche in the Hispanic section of your favorite grocery store. 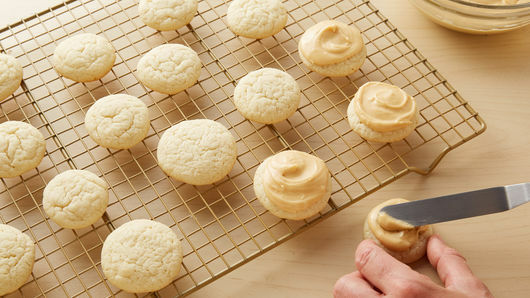 The addition of cream cheese to the cookie dough in this recipe makes a more tender, cakey cookie.